Eating healthy foods is good for your body, but it’s also important for your oral health. Foods that are high in sugar – like candy and soda – can create tooth decay, prompting numerous visits to your Pawleys Island dentist. Your oral health is one of the first areas to decline when your diet is full of unhealthy choices. Cutting back on the sugars and adding in a few foods from this list will help improve the condition of your teeth. The calcium in yogurt makes it another good choice for your teeth. Your gums also stand to benefit with the probiotics, or healthy bacteria, in yogurt because the good bacteria actually pushes out the harmful bacteria that can cause cavities. Stick with a plain yogurt to avoid the added sugar. Kale and spinach, both near the top of any super food list, also have qualities that can boost your oral health. The leafy greens are low in calories but high in vitamins and minerals. The calcium supports your teeth’s enamel and the folic acid is a protectant against gum disease, especially in pregnant women. If leafy greens aren’t your favorite side dish, throw a handful into your next fruit smoothies or on top of your pizza to help them go down easier. It’s true. An apple a day may keep your Georgetown dentist away (other than you routine dental checks, of course). While apples are sweet – something most dentists in Pawleys Island will advise you to avoid – they’re also high in water and fiber. Eating an apple causes you to create saliva, which washes away bacteria and food particles. An apple can’t replace brushing, but it’s not a bad idea to enjoy the fruit at the end of a meal until you can get to your toothbrush. Much like an apple, carrots produce saliva in your mouth, protecting against cavities. The high-fiber veggie is a great source of vitamins and is also ideal at the end of a meal if you can’t immediately grab a toothbrush. Celery, like carrots and apples, acts as a natural toothbrush. The veggie scrapes bacteria and food particles from between your teeth and is a great source of Vitamins A and C. The vitamins in celery are a great way to keep gums healthy. Almonds are a great snack – low in sugar and high in calcium – for your teeth. 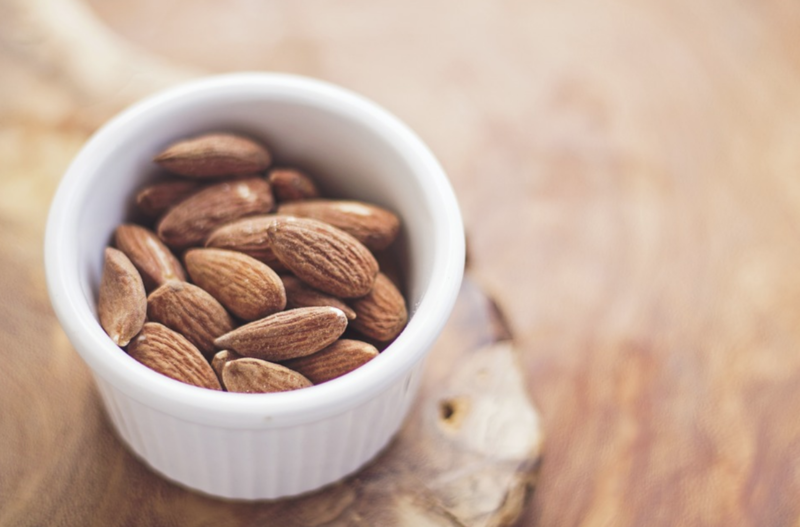 Add almonds to a salad or snack on a quarter cup of the nuts mid-morning. Stick with raw almonds or lightly salted to keep the sugar and sodium count low. Adding these leafy greens, dairy products and fibrous vegetables to your diet will support good oral health, but don’t forget to drink plenty of water. Your Pawleys Island dentist can give you some guidance on the best toothpastes and oral hygiene products to use, but stacking your diet full of teeth-friendly foods will support a brilliant smile.